Meryl Yvonne is no ordinary woman. From a young age she experienced things of an �otherworldly� nature. Farmers would bring their ailing lambs to her for healing and to this day she continues as kaitiaki (guardian) of the animal kingdom. She has always had dreams that bring powerful messages.Throughout her life she has listened to her inner guidance. This book is the story of Meryl�s journey and the life experiences that initiated her spiritual awakening. 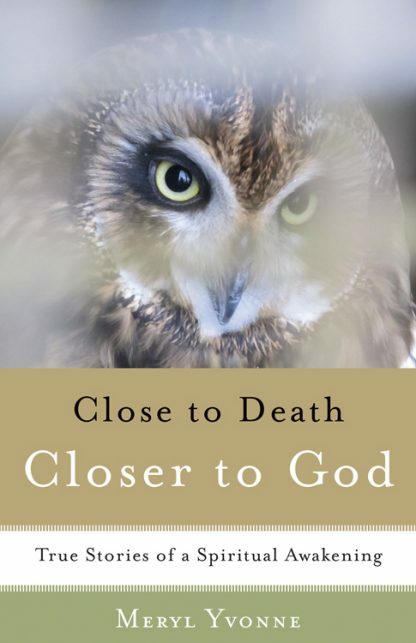 Some gently raised her level of consciousness, while others�when facing death�catapulted her beyond human endurance into her unwavering faith of the metaphysical realm. And in facing death, she receives her greatest understanding of life: humanity and the One Supreme Presence is one and the same. Meryl writes: In forgetting that we are God, that God lives in us and is all powerful and limitless in its potential, we became afraid of what life could do to us. We fell over and skinned our knees, so now we only wear flat, sturdy shoes. Meryl Yvonne founded the Waimarama International Healing & Education Centre with her partner, Manu Neho. They offer embodied experiences of the teachings in this book including retreats, workshops, meditations, and trainings in a gorgeous waterfront spa resort environment. She does special work with suicide intervention and dedicates her life to helping people connect with their divine nature to fully live their dream.